Belize is one of the hottest international real estate markets on the planet. One reason for this is that an investment in Belize real estate guarantees you a 20% higher return than most countries and 25% higher than Mexico. In this article I’ll review how to get this 25% higher return on your Belize real estate investment. First, note that this 25% higher return is not automatic. You need to understand the tax law of Belize and how they interact with the tax laws of the United States. Then you need to plan your purchase and eventual sale accordingly. Second, you need to buy the property in a tax free or tax deferred structure. To put it another way, you need to buy the property in such a way as you pay no capital gains tax to Belize and the United States. The United States taxes its citizens on our worldwide income. When we sell a property in Belize, or anywhere else in the world, we would usually pay capital gains tax at 20% to Uncle Sam (not including the 3.8% Obamacare tax that should be going away under Trump). If we also pay a capital gains tax in the country where the property is located, we get a dollar for dollar credit on our US tax returns. By using the Foreign Tax Credit, we eliminate double taxation. For example, you buy a property in Nicaragua for $100,000 in 2010. You sell it in 2017 for $200,000. Nica’s capital gains rate is 10%. Thus, you’d usually pay 10% or $10,000 to Nicaragua and 10% or $10,000 to the United States. If you bought and sold that same property in Mexico, where the capital gains rate is 25%, you would pay $25,000 to Mexico and nothing to the United States. Whenever you sell a property in a country with a capital gains tax rate that’s higher than the US rate, you should pay no tax to the IRS on the transaction. Then there’s Belize with no capital gains tax. When you sell a property in Belize, you pay zero, nothing, nada on the gain. The same goes for Malaysia, Hong Kong, New Zealand, and Belgium. None of these countries tax real estate transactions. But that’s not the end of it… a US citizen would still pay 20% on the gain in his home country. So, you sell a property in Belize, with no capital gains tax and no Foreign Tax Credit, Uncle Sam gets his full 20% on the transaction. The way Belize real estate guarantees you a 20% higher return than other countries, and 25% higher than Mexico, is by working with you to eliminate US tax on the transaction. Belize has already cut its rate to zero. Now they help you eliminate tax in America as well. They do this by allowing you to buy real estate in Belize using your US retirement account. Buy and sell Belize real estate in a traditional IRA to defer US tax on the gain or eliminate US tax using a ROTH. Of course you’ll need to follow all the US rules for IRA transactions. This means the property should be for investment… you can’t live in it at any time. Also, neither you nor your retirement account can guarantee the loan. If you will use a mortgage, it must be a nonrecourse loan. For more on buying foreign real estate in your IRA, see: Can I buy foreign real estate with my IRA? So, if you buy Belize real estate in your US IRA, you pay zero capital gains to Belize and zero to the United States. This gives you a 20% higher return than most countries and 25% higher than Mexico. If you buy real estate in Nicaragua using your IRA, you pay 10% to Nica and zero to the United States, cutting your worldwide tax rate by 50%. If you by Mexican real estate in your IRA, you save nothing. You still pay 25% to Mexico and zero to the United States. Never buy real estate in a high tax country using retirement funds! I should also point out that you can buy Belize real estate with your US IRA, or move your entire IRA offshore. You can form an offshore IRA LLC and take control over your investments. If you don’t have a US retirement account, you can accomplish the same thing using a Private Placement Life Insurance Policy. 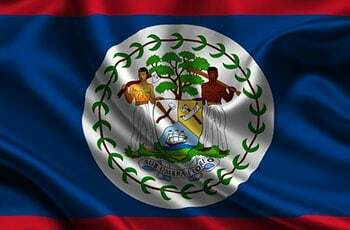 Setup a US compliant offshore life insurance policy and buy Belize real estate inside that policy. This will give you the tax benefits of a US IRA without the contribution limits or distribution requirements. An insurance policy is basically a massive tax free account with a minimum investment of $2 million. I hope you’ve found this article on how Belize real estate guarantees you a 25% higher return than Mexico to be helpful. For more information, or to take your US IRA offshore, please contact me at info@premieroffshore.com or call us at (619) 550-2743. All consultations are free and confidential.